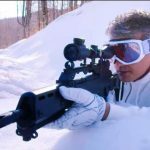 Superstar Ajith Kumar starrer Tamil action thriller Vivegam has passed the extended opening week on an excellent note in Tamil state as well as worldwide. Directed by Siva, the movie received positive reviews from most of the critics as well as audience and gained strong word of mouth. 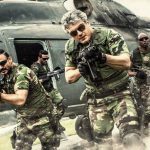 Starring Vivek Oberoi, Kajal Aggarwal & Akshara Haasan alongside Ajith, Vivegam is year’s one of the most awaited Tamil movies and was released with enormous buzz among fans. As expected the movie got desired start on the opening day and remained strong after that as well. With outstanding start of 17.20 crores on Thursday across the dominated region Tamil Nadu, Thala Ajith starrer registered the second highest opening of all time in Tamil cinema after Kabali. It has also emerged as the highest opening of actor’s career by breaking the record of Vedalam. On the next day i.e. Friday despite usual drop, Vivegam remained strong and did the business of 10 crores. While on Saturday and Sunday, it minted the amount of 11 crores and 11.50 crores respectively with slight growth due to weekend. Then in weekdays, due to normal working days the movie recorded sudden drop in footfalls and added the amount of 6 crores on Monday, 5 crores on Tuesday and 4.25 crores on Wednesday. On the next day i.e. Thursday, it raked the business of 3.50 crores with further drop. After 8-days extended first week, total collection of Vivegam has become 68.45 crores from 800 screens of Tamil Nadu. From rest of India and overseas market as well, the movie has got excellent response and grossed around 135 crores worldwide.